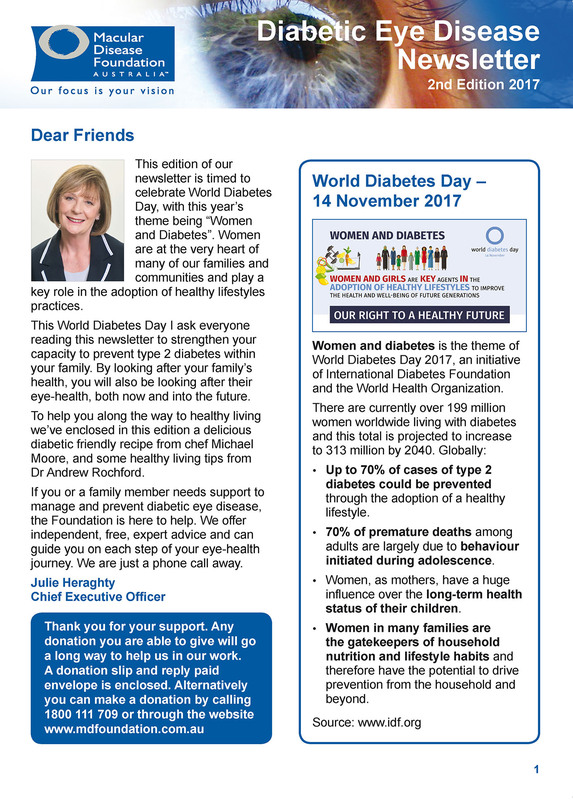 Welcome to our second Diabetic Eye Disease Newsletter for 2017, this edition is timed to celebrate World Diabetes Day (14 November). This year’s World Diabetes Day theme is "Women and Diabetes” and enclosed are sobering statistics on how diabetes impacts women globally. Read the Diabetic Eye Disease Newsletter – 2nd Edition 2017. Subscribe to future free Diabetic Eye Disease Newsletters.